Feedback of any kind, whether you are an author, crafter, baker or therapist is a lifeline to continued success. We all crave that positive remark or pat on the back when someone enjoys our products. I have always tried my best to leave feedback wherever possible. Sometimes that might be a Facebook review for a company or service I’ve used or a quick comment on a blog post I enjoyed reading. I’ll always try to log on to a restaurant website to thank them for a wonderful meal and service, or leave feedback after a hotel stay. As a consumer, I study the comments left by other people and hope that they can assist my decision on whether to buy a product, eat in a restaurant, visit an exhibition, or read a book. Having published nine books so far in the self-help and young adult fantasy categories, I also understand the importance of receiving reviews for your products and how it can shape your sales, rankings and even your ability to advertise with certain companies. Did you know that most advertising and marketing groups require a book to have at least ten reviews before they accept an advertising request? When I attend events and sell my books via mind/body/spirit shows or craft fairs, I always enjoy chatting with the customers, and I often ask them to get in touch when they’ve finished the book to let me know what they thought. I also add that I’m happy to receive feedback whether they like it or not. Putting aside the enormous influence book reviews have on our sales and visibility in a crowded market, they are also how we learn what our readers want, how we hone our craft and improve the experience for the book buying public. 5 stars: The book was amazing, I couldn’t put it down, and I want everyone to know about it. 4 stars: The book was great, and you should check it out. 3 stars: The book was good, it was entertaining enough to keep me reading. 2 stars: It was okay but I didn’t really enjoy reading this book. 1 star: I couldn’t finish the book due to the editing or the writing. If you purchase your paperbacks from Amazon then you’ll receive a quick email a few weeks later asking if you enjoyed it and prompting you to leave a review – next time you get one of these emails, don’t hit delete, instead, click through to your Amazon account and leave a few words. The author will thank you for it – trust me! If you prefer an eBook, then Amazon make it even easier for you. When you get to the end of your book you will automatically arrive at the book review page. Highlight the number of stars you would award and write a few words about why you enjoyed reading the novel while it’s still fresh in your mind. Did you like the pace of the story? Was it fast and had you turning the pages, or was it slow in parts? Would you read other books by the author? Pippa is a likeable character, and I was in her corner when she stood up to fight for the rights of her friends, she has a caring heart. I didn’t warm to Henrik at all! So, the next time you read a book that made you laugh or a novel that stirred an emotion, take a couple of minutes to leave a review on Amazon and/or Goodreads. Your words may inspire another reader and be the introduction that person needs to discover a new favourite author, or to try an alternative genre than their usual choice. Those words will also bring a smile to the author who may have locked themselves away for twelve months and poured their heart and soul into creating something just for you. 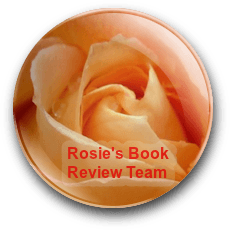 Feed an author – leave a review! If you want to have a go, why not leave me feedback about this post in the comment box below. I felt so bad that I had read a bunch, but hadn’t been in the right mind space to review at the time, as I usually do, so I did some one-two liner Amazon reviews the other day! I’ll get back to better reviews soon! Those one-two liner reviews are just as important as an A4 side of feedback, Ritu. I find that if I take review notes as I’m reading it helps me when my head isn’t in the game. I make notes on the Kindle itself, and then I can just open them up when it comes to writing the review, it really helps. That’s a great idea, Terry. It was Rosie who taught me to take review notes as I was reading and it really helps. I should do that… But after observing and taking notes all day, sometimes I don’t have the energy! A review is a review, Ritu – as a far as Amazon goes, it’s the number of them that makes the difference to the book’s visibility. Yes, of course a ‘proper’ review is better, but one sentence is fine – it’s great that you take the time, full stop! I’d rather have 20 one-two liners than 5 in depth ones, any day. From a reader’s POV, I’m more likely to investigate a book if it’s got 30 reviews of varying star ratings, than if it’s got 6, all saying it’s brilliant – that makes me assume they’re all from friends, and no one else is reading it. Which probably isn’t fair, because when a book first comes out it takes a while for the reviews to amass, and the first people to read and review will always be the writer’s regular readers…. yeah, I probably need to think that through a bit! Lol!!! It is one of those situations!!! I’ve been quite poor about book reviews recently, so I ought to get back to them. It is something that takes a bit of time if you want to help both the author and prospective readers. I agree, April. It’s those readers who don’t have a blog or an extensive online presence who we need to encourage to leave reviews. Remember when I did #AugustReviews? It got a few people who didn’t normally leave them, to do so, but it was mostly just those who review anyway. The group it did jerk into action was writers who read but don’t review – something I can never fathom at all. We KNOW how important reviews are, so we need to put it out there, too! I totally agree, re doing it the minute you’ve finished the book!!!! As for #AugustReviews, never again. I spent most of my time asking people not to use it for own book promotion, or for blog reviews, or explaining exactly what it was, even though it stated clearly and in words of one syllable, practically, on every post. I mean, it was simple: Review a book on Amazon. Tweet the Amazon review link to #AugustReviews. Half of them would go, oh, okay. And tweet me a blog review. Made me wonder how people get themselves dressed in the morning! Having read Suzie’s Sunday Blog Share stepping down post, I got off lightly with just one month!!! Yes, I can understand that. The #FridayBookShare game became a promo dump in the end! Can also fully understand Suzie’s decision. A thousand percent agreement, Shelley. I’ve ended readings with the same words to the people who buy my books – it seems to fall on deaf ears. I don’t understand why it’s so difficult to get readers to leave a book review. Those same readers will pop on Trip Advisor the second they get back off holiday!! What’s the difference? It’s because they think they have to write something clever and literary. Trip Advisor is easy – you can rate stuff by ticks, and just say the food was nice or the rooms were a bit cold. But ask someone why they liked a book? ‘I just did. It was really good’. I have a friend who has always read and loved all my books. But she had never reviewed. At her house one day, I actually sat her down and made her write one, ha ha! She is intelligent, educated, imaginative. But not literary-minded. She sat there and said ‘I haven’t got a clue what to put’. In the end she wrote 3 lines after prompting by me in the form of questions. It’s easy for us. Communication by written word is what we DO. But for many, it is not their ‘thing’. You only have to look at Facebook and see all the communications in one liners and emojis. I loved that Friday Book Share game – was that the one where we’d pick a book then say if we’d buy or pass, that Rosie started? I think it’s the same with all book hashtags, sadly – they all get spoiled! Rosie’s was the Buy or Pass game – I loved that! Mine was taking the letters of F R I D A Y and using them to promote books you’d reviewed. It was fun but time consuming. Thanks, Shelley. It’s important to remind people, although I must admit that until I started publishing my own books I would never have thought about reviewing books (and that might be the case for many readers). That’s an interesting observation, Olga. 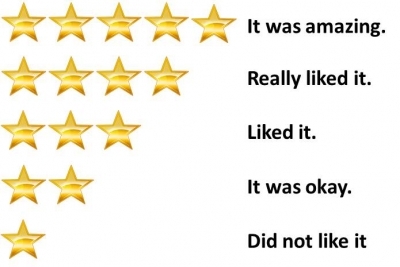 I always did reviews for eBooks because my Kindle prompted me to. It was only after I’d published my first book that I began sharing those reviews on my blog. So the question of the day is how do we reach the non-bloggers? I think the way is just to accept that only 1% of the reading public review. Trying to push them into it is putting pressure on. Basically, the more sales you have, the more reviews you will get, because that 1% will be a larger number. And the better the book the more likely you are to be reviewed by the reading public, too – if people abandon half way through, (mostly) you’re not going to get one. As someone who takes photos as a hobby criticism is always appreciated, even if it is bad or good, it makes me want to better my skills nevertheless. And I think this goes for everybody who is a creative artist. I read these books and they have definitely helped me to improve my skills. I love your suggestions for writing quick reviews. I never seem to have the time for a detailed review because I’m usually onto my next read. I also find Kindle’s highlighting option is a great way for keeping notes. I’ve just written a review of The Girl with Seven Names which I’ll be posting shortly on my blog. Hi! You got your points clearly…and yes I totally agree on the need for reviews. I just want to share my new discovery – feedback software – BugRem.com – an absolute tool to gather feedback! Anyone tried it? I truly agree with this post. Feedback, reviews, comments are the lifeblood of good literature. A like or comment makes my day and I love giving this same joy to someone else! Goodreads star ratings are similar to yours but Amazon counts 3* as a negative review. (They just do – it’s clearly shown on their site.) So please don’t give 3* reviews on Amazon unless you are gently warning people away from the book. Life is hard enough without that.